Seo Trung Ho is a very remote Red Dao tribal village situated in a beautiful valley between limestone cliffs and dense montane cloud forest. 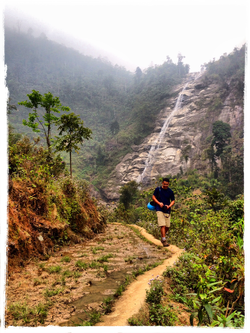 It is also the location of one of Sapa's glorious waterfalls cascading down from a height of approximately 75 metres. This is a long trek with predominately off-road trekking and steep terrain. For this reason, it can only be done when weather conditions are good. 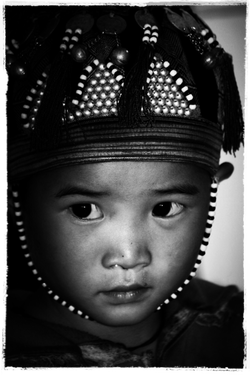 This village is the home of Black Hmong and red Dao people. Authentic in lifestyle and colourful in costumes, most of the tribes emigrated from South China during the 17th - 18th century. A full day of visiting villages, hidden behind mountains and hills, enables visitors to learn how self-sufficient life is. You will spend the day in the river valley, crossing suspension bridges and witnessing green rice terraces. Visit the local food market filled with various ingredients – some familiar, many exotic and colourful. Source food for lunch and receive information about Sapa specialities and local products. If you wish for your guide to purchase the food prior to your experience, this is also an option. Depart from Sapa by either car or motorbike after breakfast and head down the Muong Hoa Valley through Lao Chai, Ta Van, Giang Ta Chai and Su Pan Villages before descending down into a deep gorge to start your trek. Make your way to the Red Dao home via the famed rice paddies and bamboo groves. Meet and greet your hosts. Receive a guided tour around an authentic home and prepare and cook food with the family. This is a genuine and authentic way to find out about Dao cooking and culture. Walk to one of the most spectacular waterfalls in all of Vietnam. On a hot day, its possible to cool off by going for a swim. "Floods of humanity, lakes of peace, rivers of gold, raging waterfalls; all we are and do is linked to the water of life"